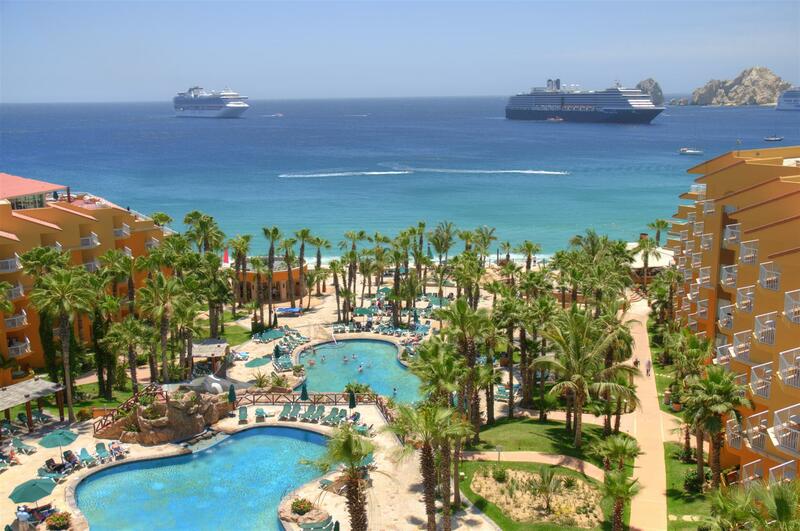 Ideally situated on Medano Beach, the main swimming beach in Cabo and a short walk from downtown, these three side-by-side Villa Group Resorts provide luxury 5 star beachfront accommodations for even the most discriminating travelers. Click a resort picture below for a link to more information, rates and photos. 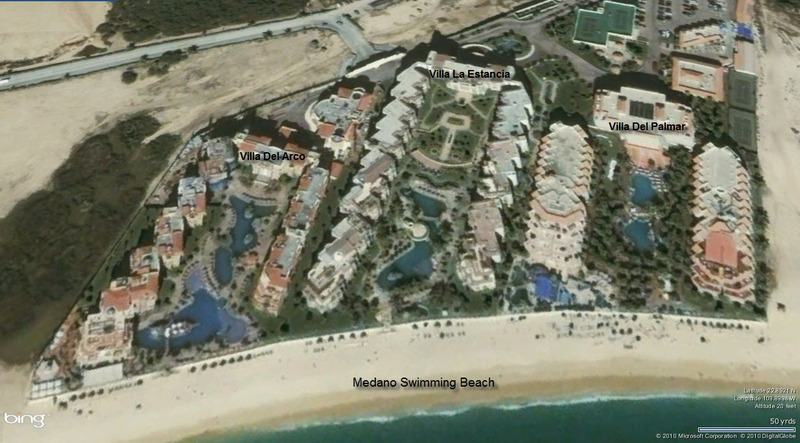 Villa Del Palmar provides over 400 studio, one, two and three bedroom suites with full kichens...a "fun" resort that's great for families. 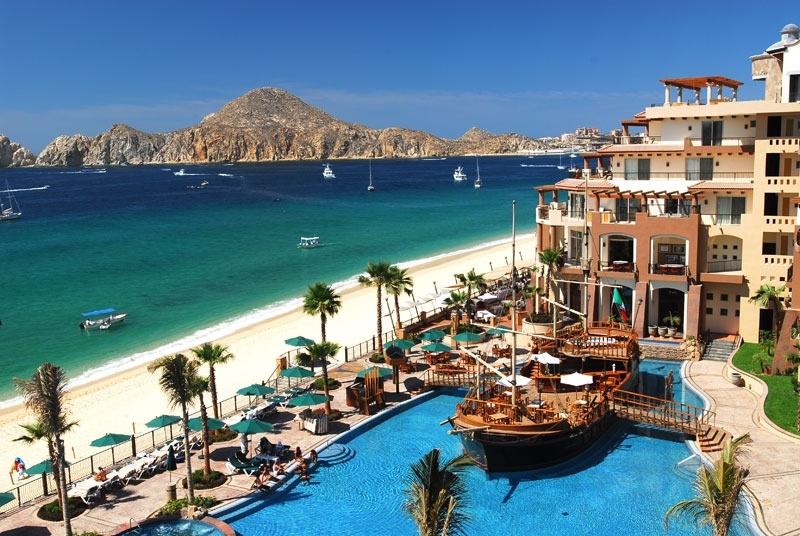 Click image to see more... Villa La Estancia is a 5-star luxury condo resort on Medano Beach, featuring luxurious and spacious two and three bedroom custom decorated and furnished villas. Click image to see more... Villa del Arco Beach Resort and Spa is the newest of the three resorts, providing beautiful and roomy studio, one and two bedroom villas plus ocean front penthouses. Thank you so much, we had an amazing family reunion! All of the reservations were just as we had planned, had no problems with the transportation! Thank you again for everything! I will get testimonials from our other family members and send them to you as well. We were all very impressed. Thank you Bob. 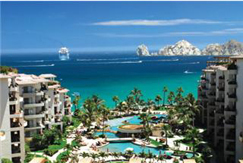 It was a great trip and very easy booking our accommodations thru Destination Vacations, will use again next year on our next trip to Cabo. We had a great trip. Yes, we did the timeshare analysis. We were told it would be 90 minutes. It lasted over 3 hours. Way too strong a sell that really turned us off. They introduced us to 6 separate individuals. Each one with a stronger sell. The last woman basically insulted us by telling us that we must just want to overpay for all future vacations. Once we got out of the timeshare meeting nightmare we had a great time. The resort was beautiful and airport transfers worked out great!